I recently started eating hard boiled eggs. I have hated them my whole life ( like hated to the point that I’d make grossed out faces at my sister while she ate them). I don’t know what happened, but over the last few months I have developed a taste for them. So never having touched egg salad in my life, I set out to create a good one that I’d want to eat again and again. I have no clue what regular egg salad tastes like, but I can tell you this one is delicious. Mash up the eggs in a large bowl. Add the rest if the ingredients and mix. 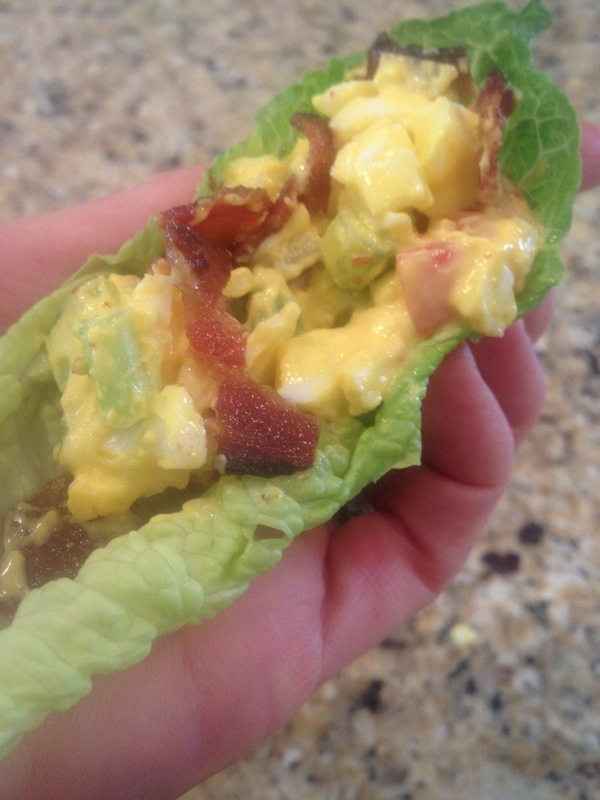 Serve with veggie scoops or lettuce boats (romaine works great).